I created my 2017 mini wall calendar in partnership with Studio Oh. 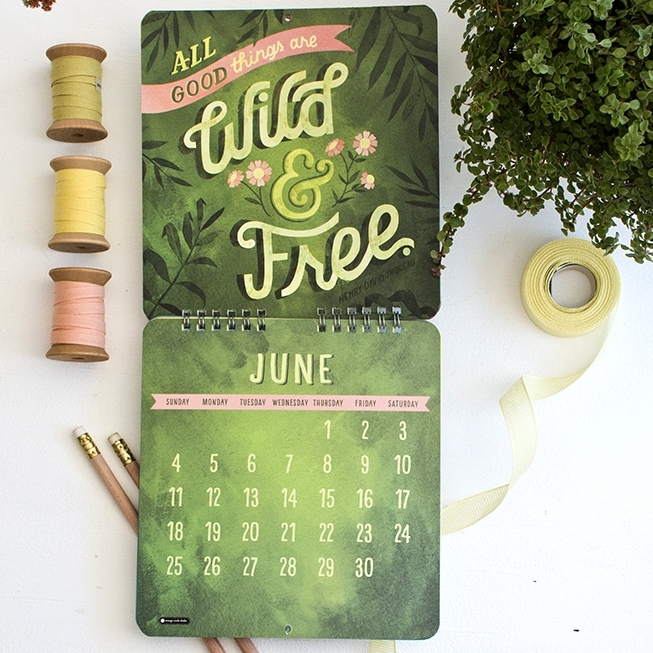 This fun wall calendar is perfect to go above your desk, by your bedside, or anywhere else you wish to add a fun pop of color and encouragement to your walls! 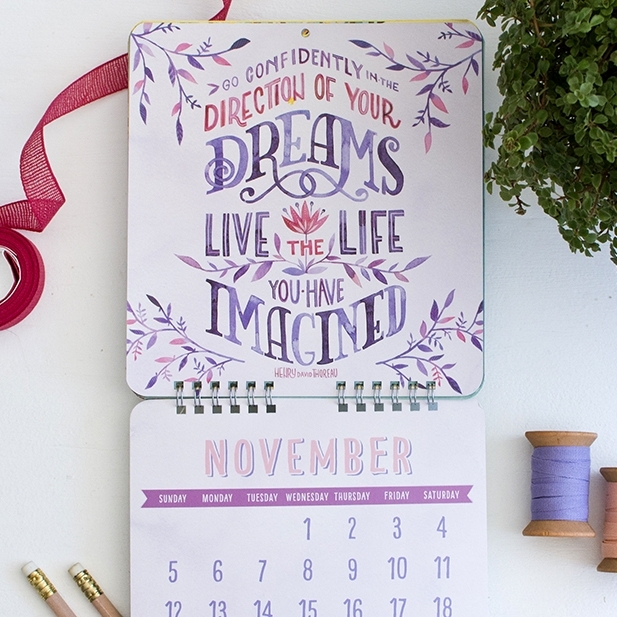 Filled with bright and colorful original watercolor hand lettered illustrations all by me, this wall calendar is meant to inspire and encourage. See Studio Oh! 's list of stores their products are for sale here (keeping in mind some stores may not be listed & the stores listed are not guaranteed to sell this particular item // You can purchase this calendar through my Etsy shop, at Barnes and Nobles,on Amazon, or at your local book store.